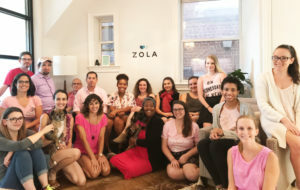 The Zola staff on one of their Dress in Pink Wednesdays. Sponsor Profile: Zola – We’ll Do Anything for Love! Zola, an online wedding registry and gift site, acquired Borrowed and Blue (a wedding vendor platform) back in December of 2017. The company has been here in Charlottesville for several months and are growing! What does LGBTQ Pride mean to you? 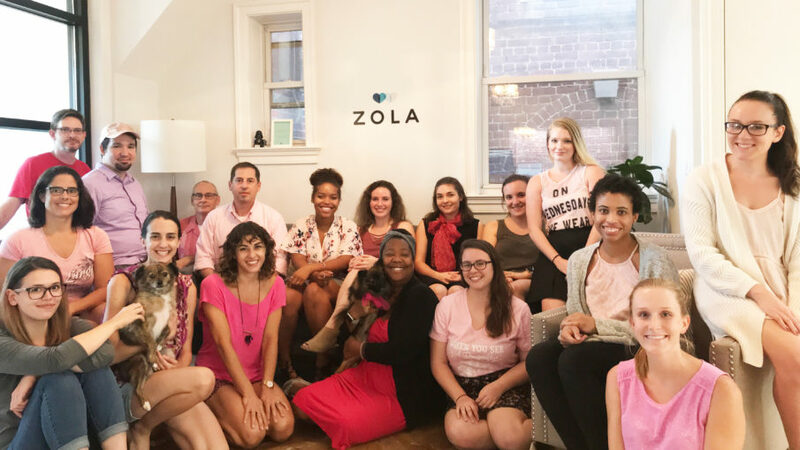 Zola is the company that will do anything for love! Diversity and love is at the forefront of everything we do. We build tools for every couple no matter who they are. We’re so excited to participate in this year’s Pride Festival!